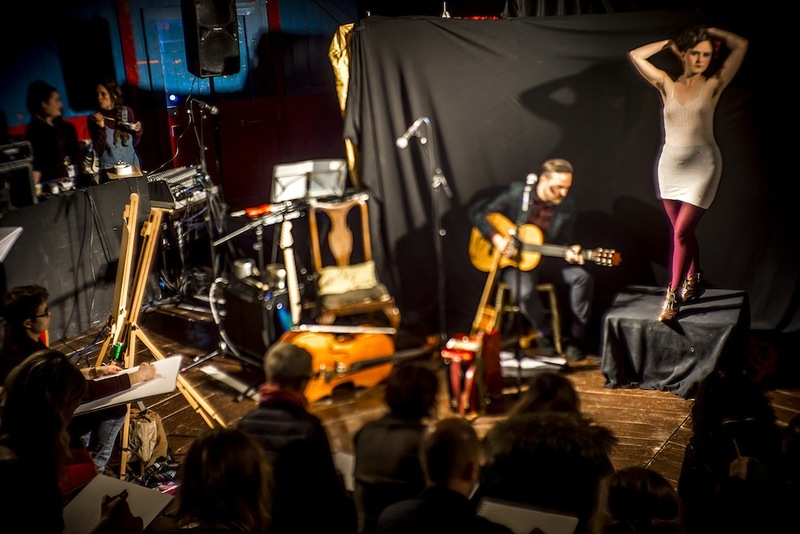 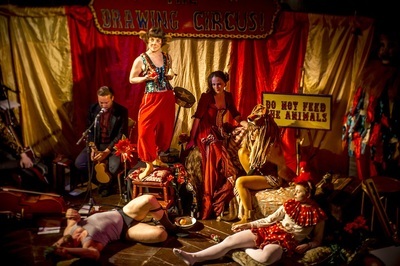 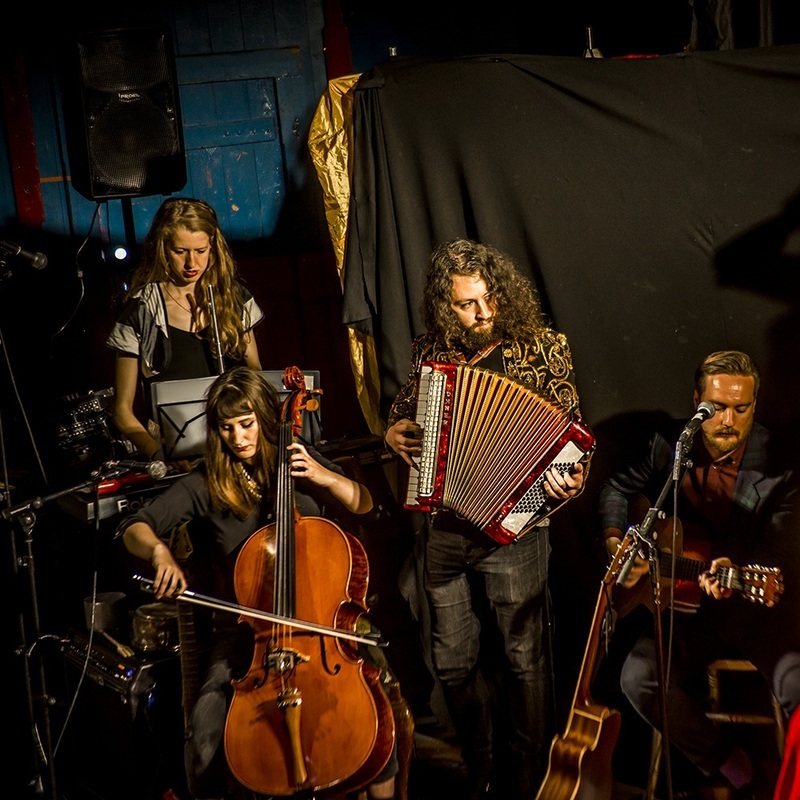 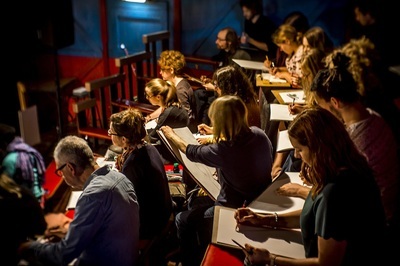 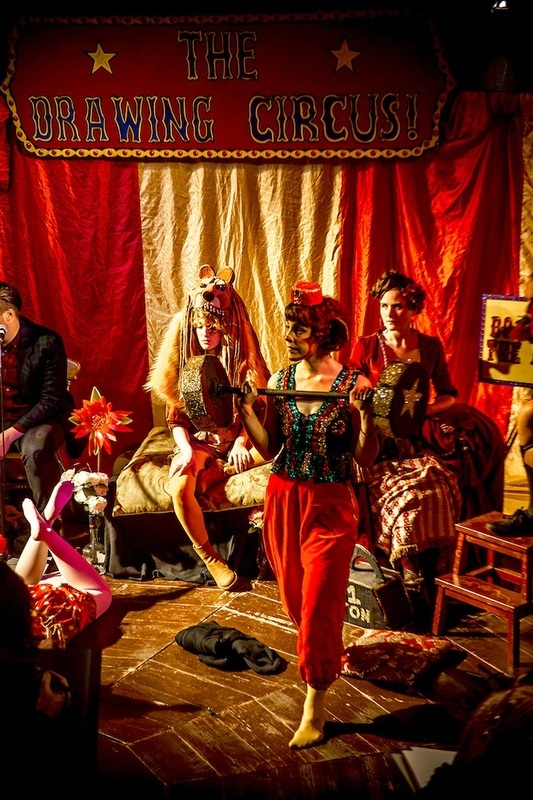 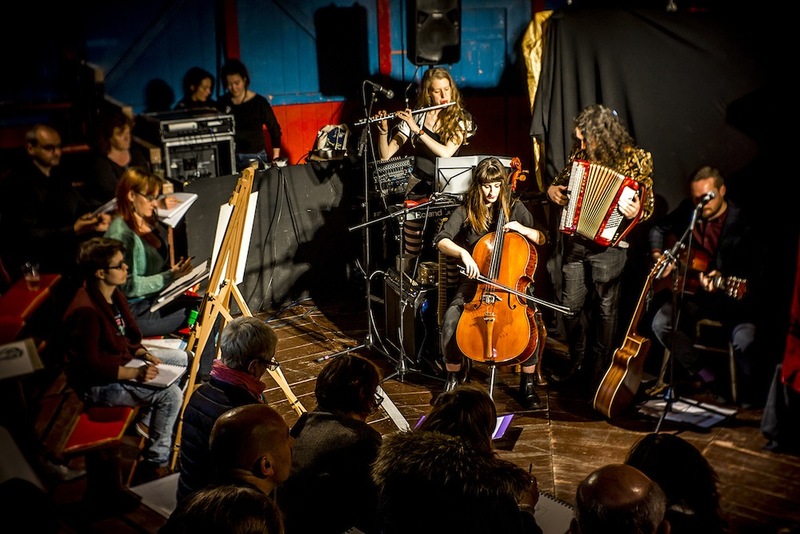 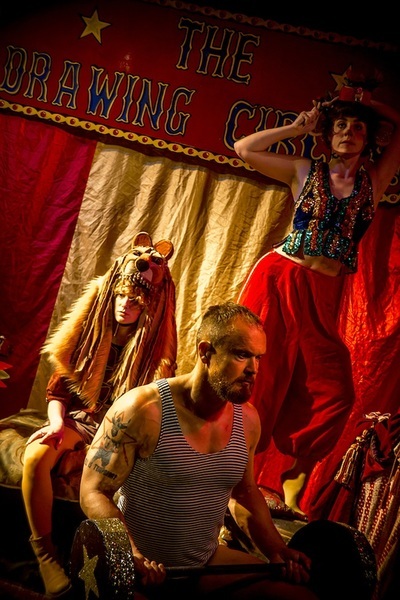 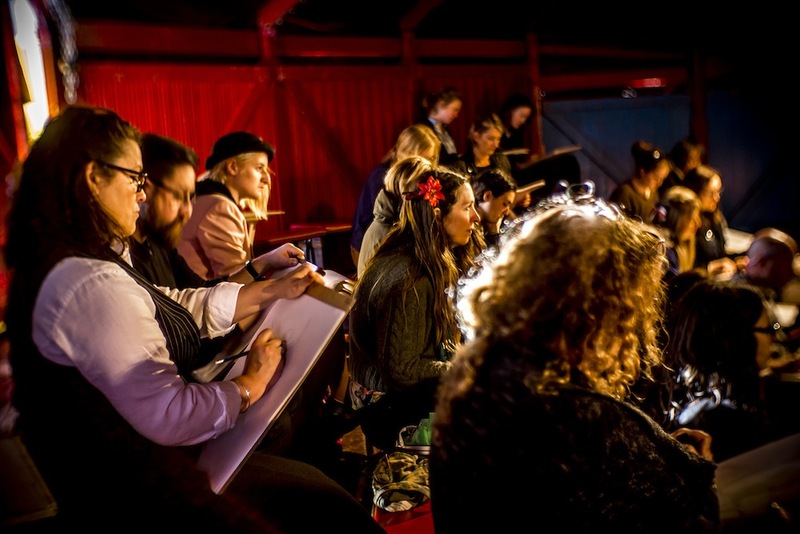 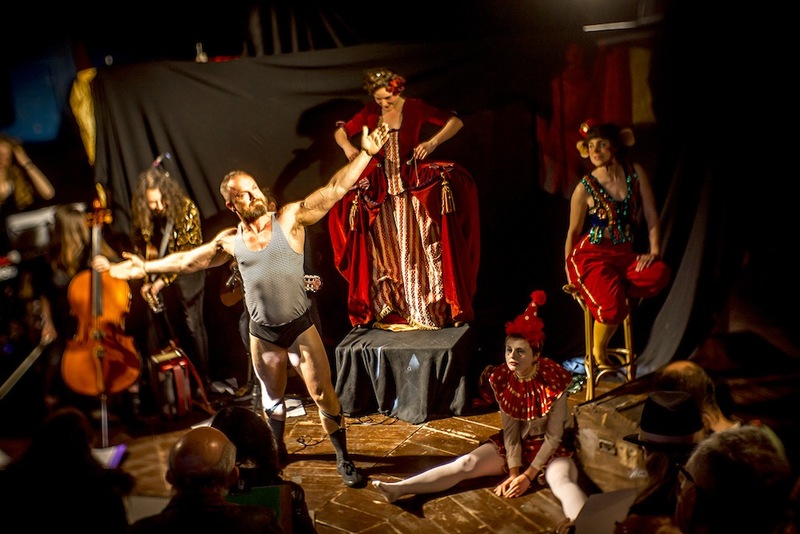 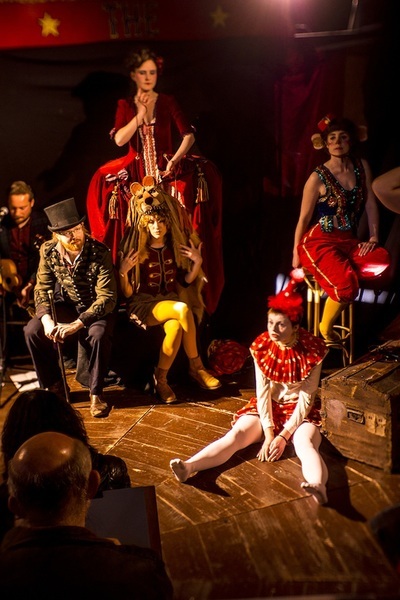 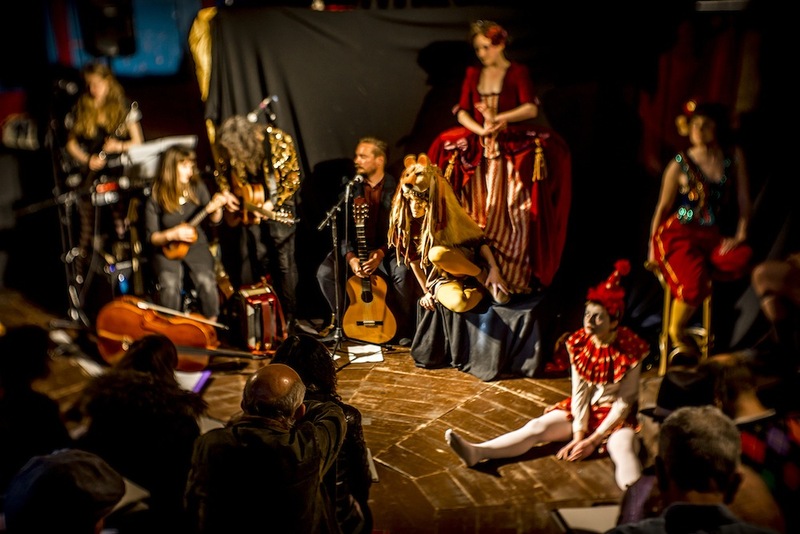 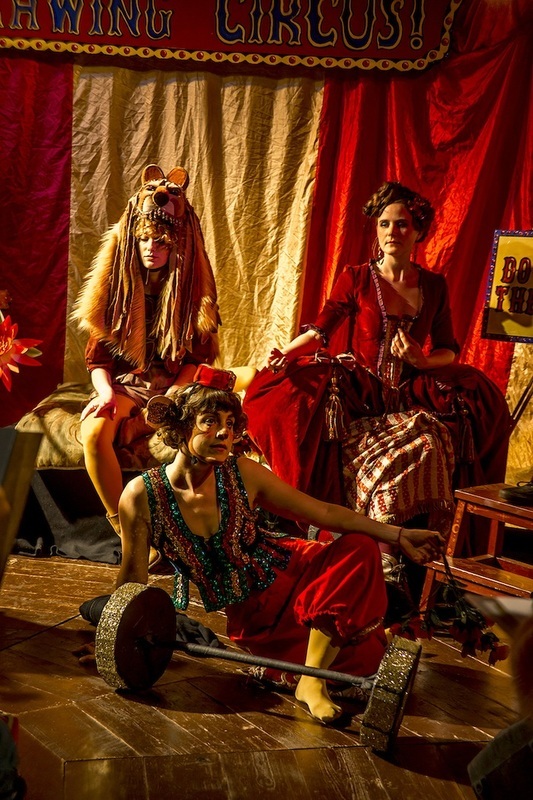 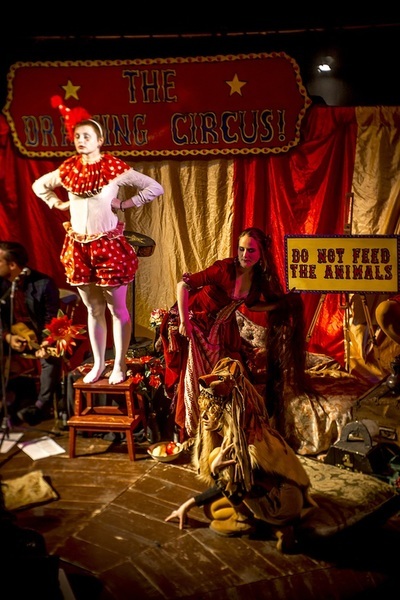 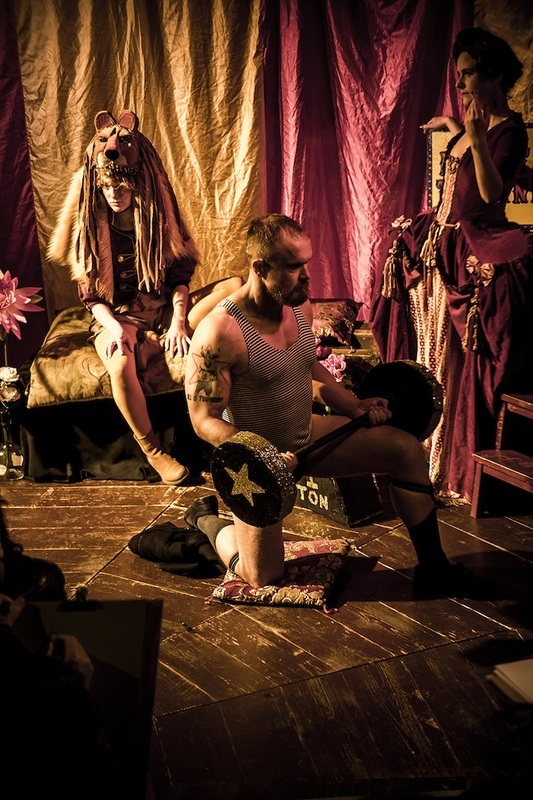 As part of May 2015s Brighton Fringe Festival The Drawing Circus took over the beautiful Bosco Theatre Circus tent for a single night of drawing. 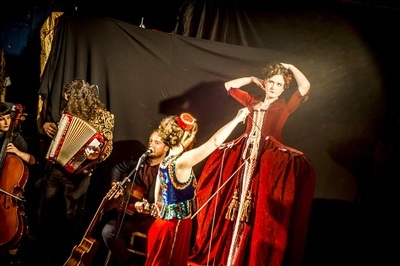 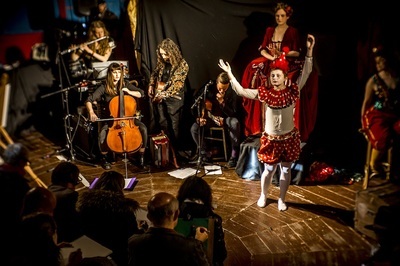 Accompanied by live music from the famed ‘Drawchestra’, ringmistress Francesca Cluney and her Circus cohorts the event told the story for her incredible dress in a series of tableau. 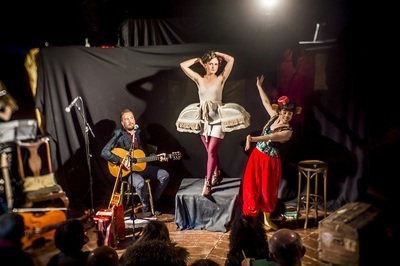 Constructed on her as she posed in front of a modest black backdrop, accompanied by an ever growing band of musicians Frankie's dress gave birth to the Drawing Circus clown, strongman and tiger, who, on exiting her raised hem stuck a pose for the assembled artists to draw. All photographs are by Nick Brekespere.